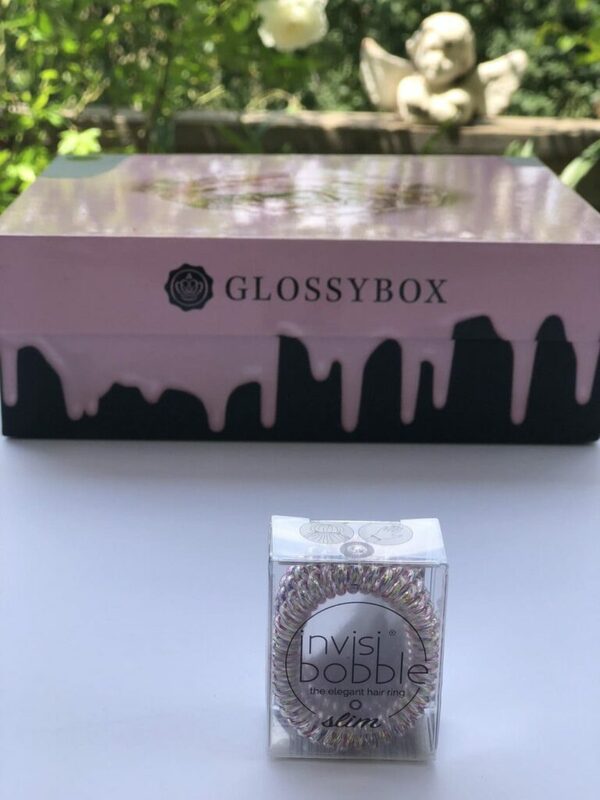 I received a Glossybox delivery to facilitate my review. All opinions are 100% my own. We have affiliated relationships which means we may get a small referral commission at no additional cost to you if you shop using our links. 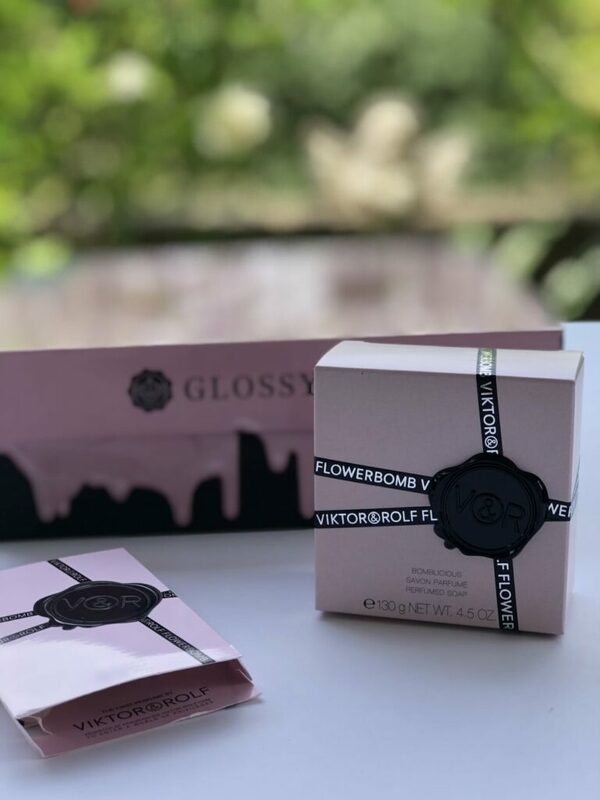 Glossybox is a perfect gift for Mother’s Day. 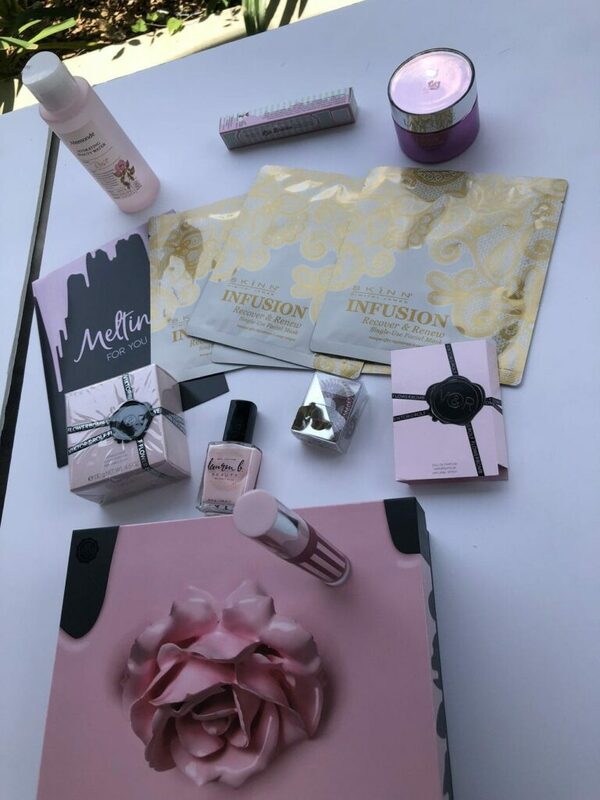 It is also a perfect gift for any beauty lover! Each month, five beauty products are selected, packed into one of their lovely signature boxes and delivered to you or to your recipient. 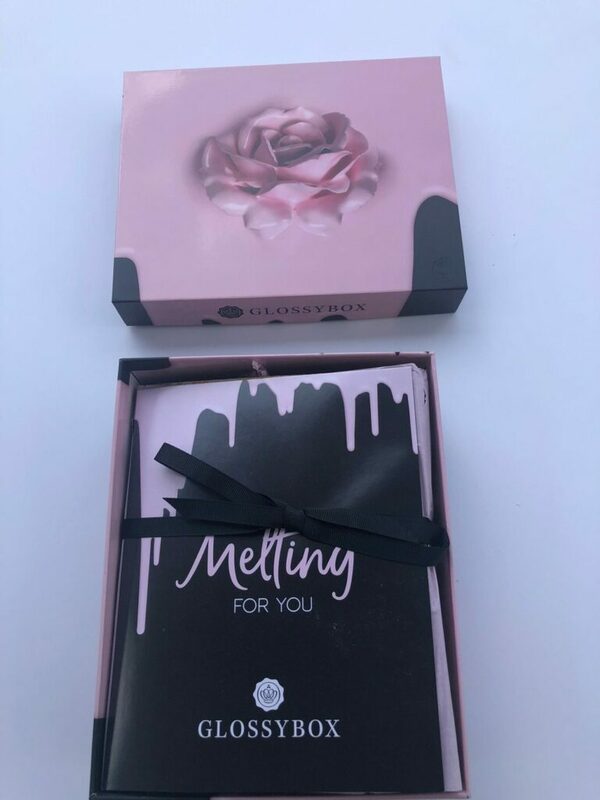 This is my Glossybox Mother’s Day box, called Melting for You. I love this fragrance and so does my husband. The small vial is perfect to take along on vacation or a weekend away. Full size $79.00/1.7 fl. oz. I was so excited to get this full-sized moisturizer! 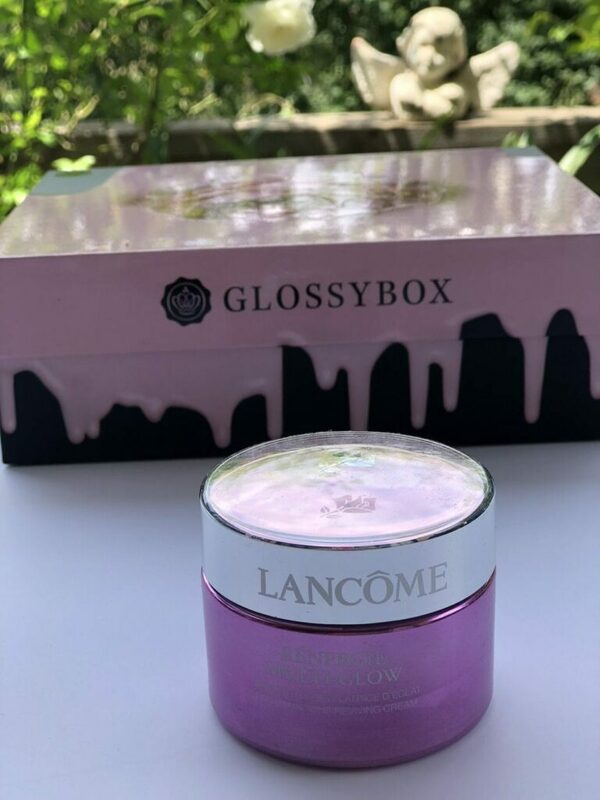 I have been a fan of LANCÔME cosmetics but had never tried their skin care. This moisturizer is so rich yet my skin just drinks it in. 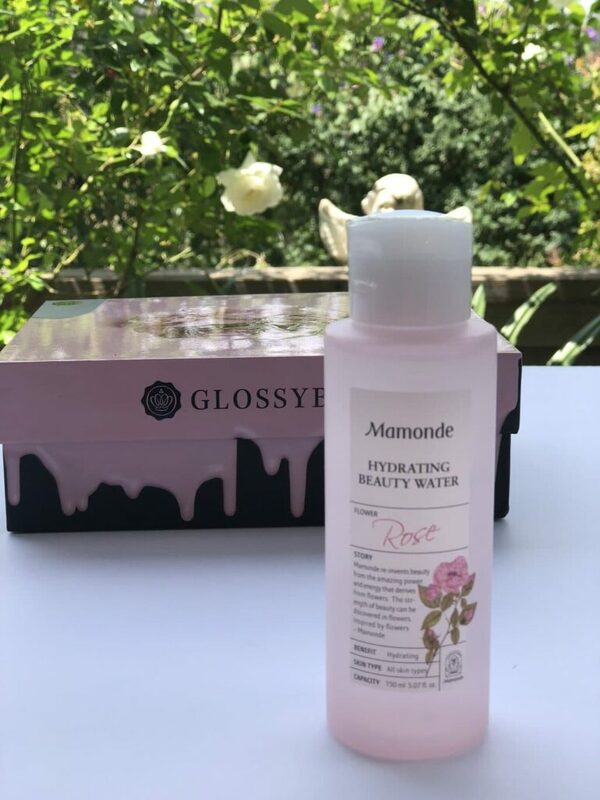 I can already see a difference in how hydrated my skin looks. I’ve been dabbing a bit of this product onto a cotton ball after my face is cleaned. It feels wonderful on my skin. 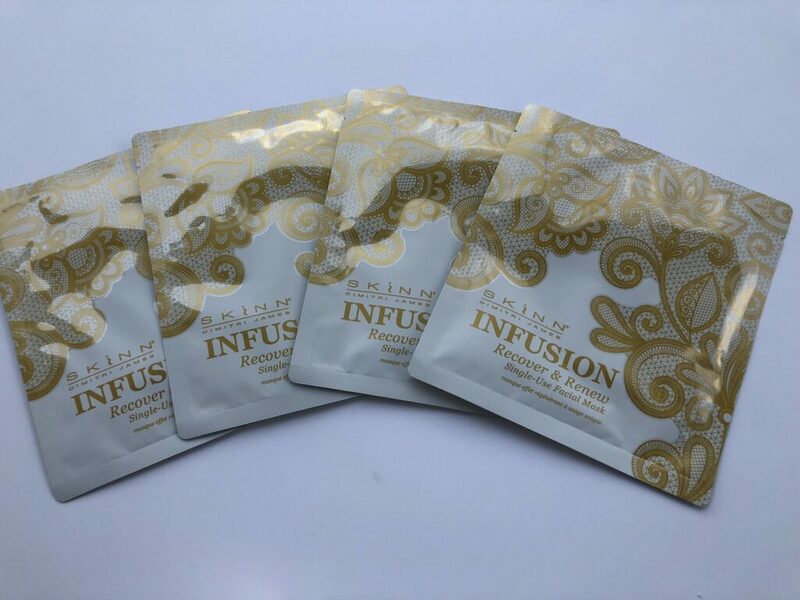 I’ve used 1 of the 4 masks I received and my skin feels so rejuvenated. 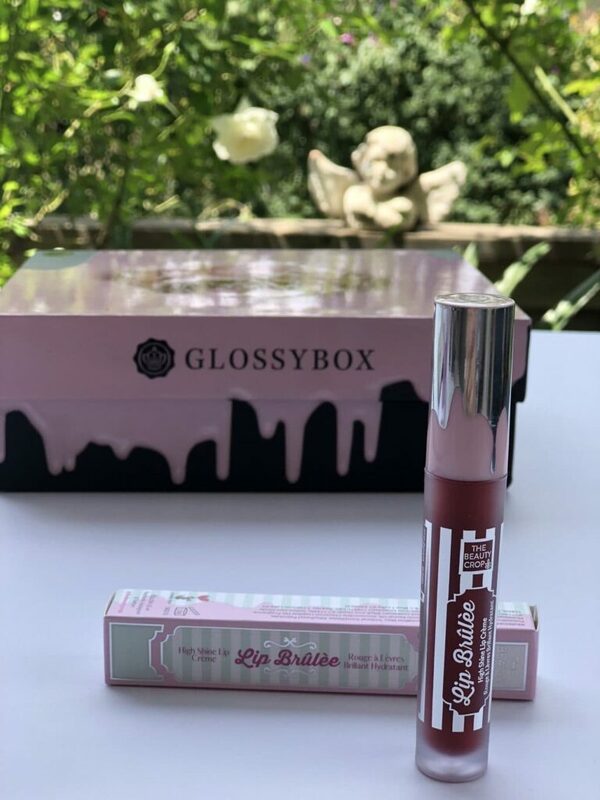 “With the color payoff of a lipstick, long-lasting staying power or a stain, hydration of a balm and high-shine drama of a gloss, this futuristic lip cream is truly next-gen. Formulated with jojoba and apricot kernel oil, the innovative formula also promises comfortable wear throughout the day.” Shades vary. This lipstick feels great on my lips and I love how long it lasts. I’m looking forward to wearing this pink polish all summer long. I am going to keep one of these in my gym bag. One of these days, I will master that chic evening look! 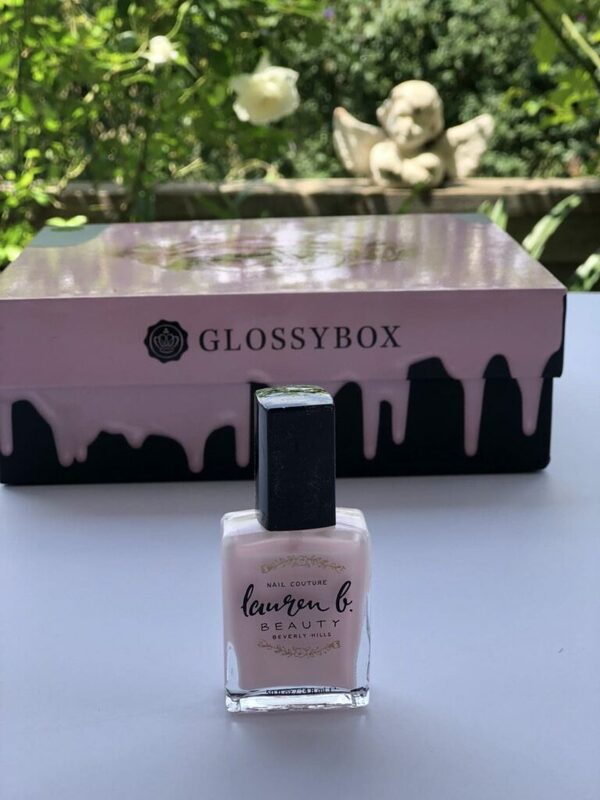 If you want to give Glossybox a try, there are several subscription options. a 1-month plan is $21.00 with free shipping and monthly billing. A 3-month plan is $58.50 with free shipping and quarterly billing. You can see the rest of the choices here.